The Giro d’Italia, or Tour of Italy, is one of the world’s most famous bicycle races. Twenty-two international teams compete for three weeks in a contest of racing tactics, willpower, and raw athleticism. The 2017 Giro is extra special: it’s the 100th race! Even if you’re not a cycling enthusiast, you have probably heard about this multiple-stage bicycle race held in Italy every May, which, along with the Tour de France and Vuelta a España (collectively known as Grand Tours), represents the world’s most prestigious road bicycle race. 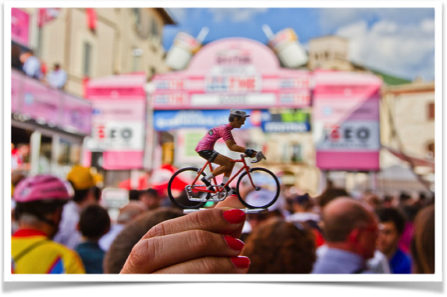 Also, known as Corsa Rosa (Pink Race, because the race leader wears a pink shirt), Giro d’Italia was established in 1909, an idea of Tullio Morgagni, a journalist with the Gazzetta dello Sport newspaper. At the time, cycling was already a popular sport, with the first races having taken place in 1869. The first Giro d’Italia left from Piazza Loreto in Milan on May 13, 1909. Overall, the first Giro consisted of eight stages, held three times a week, between May 13 and May 30, covering a total of 2,448 km. Since then, except for interruptions during World Wars I and II, the Giro d’Italia has taken place every year in May over the course of three weeks. Although the starting point varies every year, the arrival is always in Milan, the headquarters of Gazzetta dello Sport. In 1931, it was decided that the race leader needed to display a symbol that would make him instantly recognizable amid the dense pack of racers; thus, the iconic maglia rosa, pink jersey, was introduced. The golden age of the Giro was between 1931 and 1950, when such cycling greats as five-time winner Fausto Coppi (il Campionissimo) champion of champions and his historic rival three-time winner Gino Bartali (nicknamed Ginettaccio) competed and inflamed fans, dividing Italy into supporters of one or the other. Between 1956 and 1978, the race lead was taken by foreigners, especially the Belgian Eddy Merckx, who won the Giro five times in seven years and earned the nickname “The Cannibal” because, it was said that he wouldn’t let anyone else win. The 1990s saw the emergence of Marco Pantani, who became a real sports idol in Italy, winning the Giro d’Italia in 1998 (the same year, he won the Tour de France, the last cyclist, and one of only seven, to win the Giro and the Tour in the same year). Nicknamed “il pirata” (the pirate) because of his shaved head and the bandana and earrings he always wore. Pantani is considered one of the best climbers of his era. In 1999, while leading the race, he was expelled due to irregular hematocrit values. He was accused of Erythropoietin, or EPO, use, which is thought to have led him into a depression from which he never fully recovered. He died of acute cocaine poisoning in 2004. The latest years of the race have been dominated by the Spaniard Alberto Contador (one of only six riders to have won all three Grand Tours of road cycling), and Italian Vincenzo Nibali (like Contador, he has won all three Grand Tours). Since the beginning, Nibali has been nicknamed Lo Squalo (the shark) for his technique, which consists of always rushing to the attack, and for his Sicilian origins. Nibali is the current Giro d’Italia title holder, having won the 2016 race (he previously won the 2013 edition). 2017 marks a special year for the Giro d’Italia as it celebrates its 100th edition. Giro d’Italia 2017 will run from Friday, May 5th to Sunday, May 28th, from the island of Sardinia, to the heel of Italy’s boot, to the Alps. After leaving Sardinia, where the first three stages will take place, it will move to another island, Sicily. The Sicilian leg’s highlight will be the climb up the Etna volcano. The next day, the race will end in Nibali’s hometown of Messina. Giro d’Italia 2017 will continue through the heel, traversing Puglia’s Valle d’Itria, then proceeding north through Umbria’s Sagrantino wine country. Two stage starts will be Tuscany’s Ponte a Ema and Piedmont’s Castellania, birthplaces of Italian cycling greats Bartali and Coppi, respectively. The Apennines traverse will be followed by the Alps, with the climb of the famous Stelvio Pass. Then it’s the majestic Dolomites, which will involve some brutal climbs (stage 18 features five ascents!). Like every year, Giro d’Italia 2017 will conclude in Milan. If you are inspired by Giro d’Italia and you are an active person I suggest that you bike across Italy. You will pedal to extraordinary art cities such as Venice, Florence, Lucca and Pisa. If you have enough time, add to this the rural landscapes of Veneto, Emilia-Romagna, Chianti and Maremma areas of Tuscany and you will have the best of Italy. One of the most popular bike tours in Italy is coast-to-coast cycling from the Adriatic coast in the east to the Tuscan coast line in the west. This bike route takes you form Marche through the Umbrian hills and onto the Tuscan mountains before descending to the Tuscany coastline. Along the way you can have a wine tasting at a family winery, observe the medieval art, and learn culinary secrets behind the incredible regional cooking. Last but not least is the biking tour in Sardinia. The captivating island is famous for its beautiful beaches and the beautiful turquoise waters of the Tyrrhenian Sea. Sardinia’s best kept secret is its amazing network of immaculately scenic and quiet roads that are perfect for cycling. The island’s rugged and remote mountainous interior boasts rivers, lakes, archaeological sites and an amazing variety of wildlife such as flamingos, falcons, and wild boar. Martin Scorsese, who I consider America’s greatest living film director, is a creative talent with the ability to continuously surprise his audiences in terms of what he chooses for his huge enterprises. Yet, the quality of the final story on the screen may vary. With that said, I find some of his movies absolutely brilliant, from their rich palettes of cinematography, to the impassioned and inspired performances of the actors and actresses, and the stimulating ideas that always aren’t black and white in these tales of extreme moral and ethical quandaries. 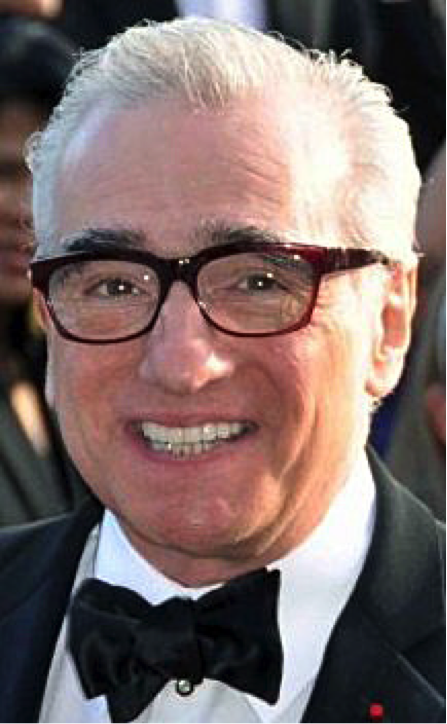 My personal favorites from the Scorsese oeuvre include Raging Bull, The Departed, Good Fellas, and The Aviator. 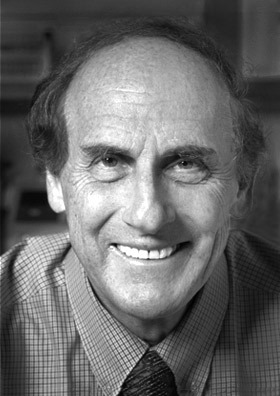 From his early days of films such as Mean Streets and later (more blatantly) in The Last Temptation of Christ, it became apparent that the Italian-American Scorsese was struggling to come to terms with his Catholic upbringing and the meaning behind the story and lessons from the life of Jesus Christ. In the final scene of Raging Bull starring Robert DeNiro in a beautifully nuanced performance as troubled boxer Jake LoMotta, the screen displays these words from the New Testament (John IX. 24-26): “So, for the second time, [the Pharisees] summoned the man who had been blind and said: ‘Speak the truth before God. We know this fellow is a sinner.’ ‘Whether or not he is a sinner, I do not know.’ the man replied. ‘All I know is this: once I was blind and now I can see.‘” The idea of being clothed in the darkness of ignorance and having the light shine in on life, courtesy of a Savior, is powerful. Scorsese’s 2016 film Silence is right up there as one of his very best. It is a movie about not just Catholicism because it also examines the boundaries, trials and tribulations, and other tumultuous ethical situations surrounding the ideal of staying true to one’s own morality and choices, not only in God’s eyes. It is a long movie and didn’t fare well at the box office, but I was absolutely riveted from start to finish and overwhelmed by the force of the ideas on display. Silence stars Andrew Garfield as Sebastião Rodrigues and Adam Driver as Francisco Garupe as a pair of young 17th century Jesuit priests traveling from Portugal to Japan to locate their former teacher (played by Liam Neeson), who had gone to Japan to teach and convert the populace to the ways of Catholicism and goes missing after supposedly renouncing his faith. When Fathers Sebastião and Garupe reach Japan, they are taken in and hidden by the terrified villagers who are converts to Christianity at a time where the religion is being violently suppressed and must be practiced in secret. While watching Silence, I was awed by the beautiful, lush scenery of the mountains and foliage depicted. The stunning scenery becomes the backdrop of the violence that reigns down from the minions of a horrific inquisitor on these people. The inquisitor is masterfully played by Japanese actor and comedian, Issey Ogata, who the New York Times noted as stealing ever scene he is in. As one watches the struggles of Sebastião unfold, dozens of questions and ideas run through the mind of the viewer on issues that center around the crux and core of faith in God, but also Western ideas forced onto Eastern cultures, and on the difficult notion of whether one should betray ones greatest beliefs for the greater good. The focus centers on the dilemma facing Sebastião when he is given the choice of renouncing Catholicism or seeing villagers tortured to death. All of the intellectual banter of the inquisitor and his interpreter, the latter beautifully portrayed by Tadanobu Asano, devolves into their extreme meeting out of violence on the bodies and minds of the poor villagers, who they deride as worthless peasants. By breaking Sebastião, they can publicly break a man who has devoted his heart, life and soul to what they believe is the affliction invading Japan. From the interviews I’ve read with Scorsese about Silence and from what I’ve learned from reading about him in the past, he is more a man who is opening up ideas about searching for rather than explaining the meaning of life. He often sounds quietly and admittedly lost, but very glad to have the opportunity to make art and films about his state of confusion. It has become my opinion that because most people are taught about faith and religion in childhood, it is incredibly hard to shed any of the major faiths later in life. It’s akin to an indoctrination. As I’ve grown older, I’ve read many of the books from the past by religious luminaries, such as Rashi’s commentaries or Jerome’s letters and books by Augustine and Philo; the texts of ancient Buddhists or the ideas behind the spirit religions of Japan; the fascinating words of the “Upanishads” and the “Bhagavad Gita” and the creation stories as presented in Assyrian myths or related by Hesiod to the Greeks, and many other illuminating treatise. I believe at some point one must start anew with a clean slate and admit that the spiritual notion behind the concept of God is as complex as advanced physics and that a child’s idea of what lies behind the abstraction, hinted at in the Old Testament, that a casual once-a-week (at most) rote Sabbath notion has as much truth and merit as an adult belief in say, Santa Claus. Imagine that the power and forces of life or what is popularly called “the divine” is encased inside of a statue of a golden calf and that all of the major faiths and religions are blind and given only one part to feel with their hands and gather its meaning. Each religion falsely and confidently believes they know the full statue and its secrets, while in truth, the one with the dominant voice in society may very well have its hands on the rump. None of the followers of any religion knows or realizes that the power lies hidden inside the idol and that the statue has very little to do with the immense power of this vaguely traceable treasure. Why settle for one set of rules and rituals when there is such a rich tapestry available for study, which weaves together everything from philosophy to astronomy and on and on, endlessly woven, ripe for discovery and continued revelation? (Unified Field Theory indeed). What is really so terrible that we end up like Martin Scorsese in some way: in awe of the unanswerable, and finding ways to express our intuitions and discoveries in art, music, books, and science? Because in the end, whether it is Judaism, Christianity, Islam or the religions of the East, the zealots of each faith make them all superstitious faiths borne of unspeakable and unjustifiable violence while serving as Band-Aids to the open wound of awareness of one’s own mortality. We can appreciate Mexican culture in the United States like no other place in the world. We have all probably entered a shop in New York City and experienced the magical sensation of being instantaneously transported to Mexico. This is not only because cashiers are Mexicans wearing self-expressive t-shirts, or due to the language they speak, but it’s also the traditional rancheras music they play, and their kindness that immerse us in such an inviting atmosphere. It’s no coincidence that Mexican culture today is deeply ingrained in the American one. This is not only because parts of the American Southwest belonged to Mexico less than 200 years ago, but also because a large number of Mexicans were incorporated into the US together with that land, bringing their own culture and traditions. Some people think that Cinco de Mayo is Mexican Independence Day, but it’s not. Independence from Spain was a 10-year process that ended in 1821 and is celebrated on September 16. Shortly after, Mexico was at war with the US, unsuccessfully defending its ownership over Texas, Arizona, New Mexico, Colorado, Utah, and California (yes, almost half of current United States land). A treaty was signed in 1848, where Mexico gave up its sovereignty over those territorities. Years later, driven by the desire of extending the French empire to the Americas, the French army, led by Napoleon, attacked Mexico from the Atlantic coast. Outnumbered three times in size by the French forces, the Mexican army had little chance of success. After taking over several cities, the French advanced towards the Mexican capital, Mexico City. It was in the city of Puebla that Mexican troops defeated the French in the heroic “Battle of Puebla” in 1862. After this, the French army withdrew their forces from the country. This victory unified Mexico and restored a lost sense of nationalism and patriotism. Although Cinco de Mayo is not a national holiday in Mexico, the states of Puebla and Veracruz have declared it a holiday where people preserve the traditions and celebrations of the day. So why celebrate it in New York City? Maybe it’s due to the important population present in the city who are native to the state of Puebla. May 5 is a meaningful day for me, not only because important people in my life were born on that date, or because it’s the name of the street where my mom grew up and where I have so many childhood memories, but also because it’s the date that represents the improbable victory of the weak against the powerful. The spectrum of the “daredevil” has always been somewhat of a curiosity to me, particularly in the world of motorcycles. There are those that wouldn’t go near a bike if you paid them—I’ve met plenty in that category; those that ride, but are content with the confines of commuting; others such as myself, a former 250cc man that recently graduated to the beastly power of an inline-4 900cc engine, toeing the line in the “twisties” every once in a while—this alone might earn me the classification of daredevil” in some eyes (read: my mum); weekend warriors who test themselves even further, laying rubber down on track days; and of course their professional counterparts that push the limits to extremes on the racetrack; but then there are those, known collectively as complete and utter lunatics, who race motorcycles at speeds approaching 200 miles per hour on tiny country roads lined with dry stone walls, telegraph poles, curbs, houses, and a whole host of other hazards, in the oldest, most dangerous race in the world—The Isle of Man TT. The Isle of Man TT Festival—TT stands for “Tourist Trophy”, or more colloquially “titanium ____ “ (I’ll let you fill in the blank) —takes place once a year during late May/early June, with a week of practice sessions followed by a week of individual races—culminating in the blue riband event, the senior TT. It has been in existence since 1907, though the current Snaefell Mountain course wasn’t devised until 1911. It’s 37.73 miles run entirely on the Isle of Man’s public roads (closed during racing of course), through tiny villages, hedge-lined country lanes, and a mountain. It contains a staggering 265 corners, said to require at least three years of competitive racing to learn, where six laps amount to 226.5 miles of unflinching mental steel. The races consist of a time trial format, with riders competing as much against the course as the competition. 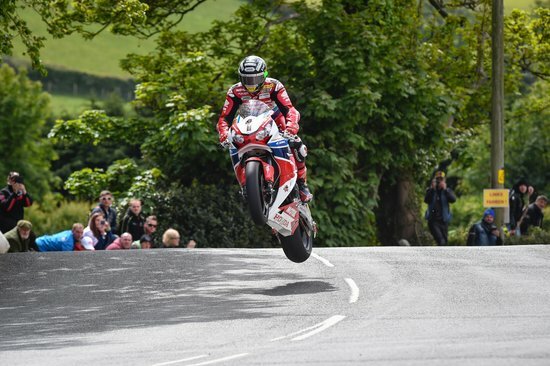 Northern Irishman Michael Dunlop holds the honor of the fastest lap on record, taking just under seventeen minutes to complete the course at a jaw-dropping 133.962 MPH average speed last year. Kiwi Bruce Antsey achieved the unofficial record top speed of 206 MPH during practice. Eighty percent of the race is done at full throttle, which I can tell you as a biker, seems utterly unfathomable. Just watching an on board lap is enough to make you nauseous. Often considered more infamous than famous, it has a reputation for its unparalleled danger. The mountain course has claimed 251 fatalities to date, with five deaths occurring just last year. Colorful character that he is, mutton-chopped racer/truck mechanic/TV personality Guy Martin refers to “that near-death thing” as the raison d’etre of racing in the TT. On a 2010 crash that almost claimed his life— “The buzz from that was just unbeatable. That moment between crashing and almost dying. That’s raised the benchmark. I want to get back to that point. Money can’t buy it. Everything’s been so sanitised with bloody PC nonsense and health and safety that there’s nothing else is there? If it was dead safe I wouldn’t do it.” To others, this seemingly senseless loss of life provokes a rallying cry for banning the TT entirely. Indeed, safety concerns were a major factor in the race losing its world championship status in 1976. If I’ve managed to pique your interest at this point, I would urge you to seek out the fascinating 2011 documentary TT3D: Closer To The Edge (the full movie is available on YouTube), or even better go one step further and read Rick Broadbent’s excellent book That Near Death Thing (which takes its name from Guy Martin’s quote). Even to those with little interest in motorcycle racing, it’s hard to deny the fascinating psychology at play here. Gaining a glimpse into what makes road racers risk life and limb for relatively little reward—through early footage of their childhood and interviews with both family members, those involved in the race, and the riders themselves, is a captivating experience. The supporting cast offers an engaging insight as to how people cope with the obvious elephant in the room, balancing the compulsion to race with the threat of death. We hear from the mechanic responsible for fine-tuning all of the top bikes’ engines, and the sense of guilt he feels, likening himself to a drug dealer supplying the fix that might ultimately end a rider’s life. There’s also a compelling interview with Bridget Dobbs, widowed after the death of her husband Paul Dobbs in the 2010 TT. Though left to raise their two children alone, she harbors an amazing resilience in knowing that Paul died doing what he loved, as to those in and around the TT, life is there to be lived, no matter what the risk. Then there’s the main cast, a veritable band of misfits with a unifying compulsion to race, despite the inherent dangers. There’s stalwart talisman John McGuiness, whose un-athletic figure masks an exceptional talent that’s led him to a remarkable 23 TT wins, just three shy of the record held by the legendary Joey Dunlop. There’s Michael Dunlop—nephew of Joey, whose brother William (son of Joey) also races in the TT. Michael’s practically psychopathic racing instinct has brought him much success and notoriety in recent years, and the Dunlop family were the subject of the 2014 documentary Road, narrated by Liam Neeson. Joey, known as much for his humanitarian work in the Balkans as for his gifts on two wheels, was tragically killed in a little-known road race in Estonia at the age of 48—paying the ultimate price for his steadfast refusal to hang up his leathers for good. His brother Robert (Michael’s father) was killed racing eight years later, and remarkably, a 20-year-old Michael raced and won the TT’s warm up event—The Northwest 200—just two days after burying his father. There’s soft-spoken Yorkshireman Ian Hutchinson—who recovered from nearly losing his leg after being run over by another racer in a closed-circuit race early on in his career, to eventually go on to achieve an unprecedented five wins at the 2010 TT. There’s local boy Connor Cummins, who survived a now infamous crash that left him looking like the Wiley Coyote in a full body cast, only to fully recover and compete in the TT the very next year. In truly legendary fashion, both of these men were told by doctors that they would never race again. Then of course there’s the resident controversy-magnet Guy Martin, whose trademark lack of filter, delivered through a nearly indecipherable Lincolnshire accent, has landed him a legion of fans, but sadly no TT wins so far. Hollywood is said to be capitalizing on the capacity for epic drama that exists on the Isle of Man, with a Ben Younger (Boiler Room, Bleed for This)–produced movie in the works, rumored to be centering on an American that comes out of retirement to race in the TT. If you replace “American” with “Canadian”, and “comes out of retirement” with “gives up everything to live on the island and race in the TT,” then this story slightly resembles the true-life tale of Mark Gardiner, who wrote about his experience ticking off the pinnacle of the biker’s bucket list in his 2012 book Riding Man. All that being said, the 2017 Isle of Man TT is fast approaching, with all the potential for a cracking set of races. As with many of the more niche sporting events, television coverage in the US leaves a bit to be desired. Despite a viewership of 30 million people worldwide, to my knowledge none of the practice sessions/races will be available for live viewing on a US TV network. However with a VPN you can access UK channel ITV’s coverage from their on-demand service. and YouTube has a dedicated channel that provides highlights of some of the races. 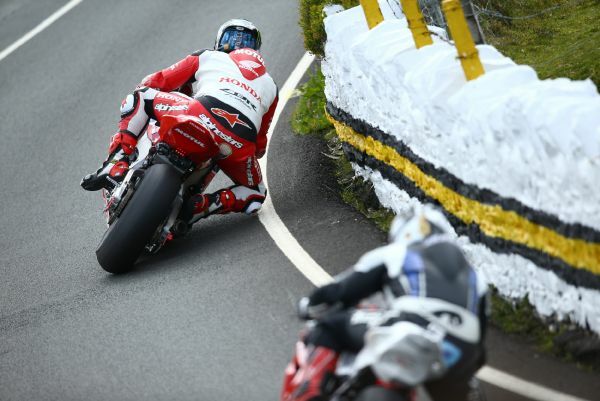 Sharing five wins between them in 2016, Michael Dunlop and Ian Hutchinson are the men to beat, but after a year lay-off, the return of Guy Martin in search of his maiden win will add some tantalizing drama to the mix. No matter how the races play out, you can bet good money that the TT will never be short on excitement. Hey! Welcome to the sixth and last lesson in our series on the New York City dialect. By now you should be able to understand the natives well enough to ask for subway directions (which also makes it obvious that you are a tourist). Don’t worry about being able to understand the announcements in the subway, no one can understand them. To review last month’s lesson, a number of words in the city dialect drop the “H” in words that start with that letter. The two examples are ‘uge and ‘uman. Here are some more examples of them used in a sentence. Katz’s Deli sandwiches have a ‘uge pile of cold cuts between two slices of bread. 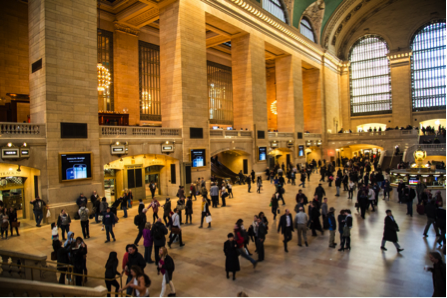 Sometimes Grand Central Station can seem like a sea of ‘umanity. The New York dialect is known for two qualities: we speak very fast and tend to blur our words together. So much so, that phrases, and even entire sentences, can seem like one word. Life in the city is fast paced, so we don’t have time to even wait for the next word. Here are some examples of words in the New York dialect. Click on the links to hear the pronunciation. Amirite A word used at the end of sentence, asking for confirmation. There’s nothing quite like seeing a Broadway play, amirite? Fugedaboudit. A word used to express resignation or forgiveness. You can’t drive anywhere in the city on a Sunday afternoon, fugedaboudit, the traffic is too much. Gedoutahea A word used to express surprise or disbelief. You got a rent controlled apartment in Chelsea for $700 a month? Getoudahea! Ariteaready A word used to express annoyance at being pushed or hurried. I’m moving, aritearedy, I just double parked for a minute! Final exam: see if you can interpret this conversation between two natives. I hope you have enjoyed these lessons in the New York City dialect. Listening to conversations among locals is the best way to tune your ear in to the pronunciation. It’s also a great way to learn about and experience what this great city has to offer. Don’t forget there are five boroughs in the city, it’s not just Manhattan. 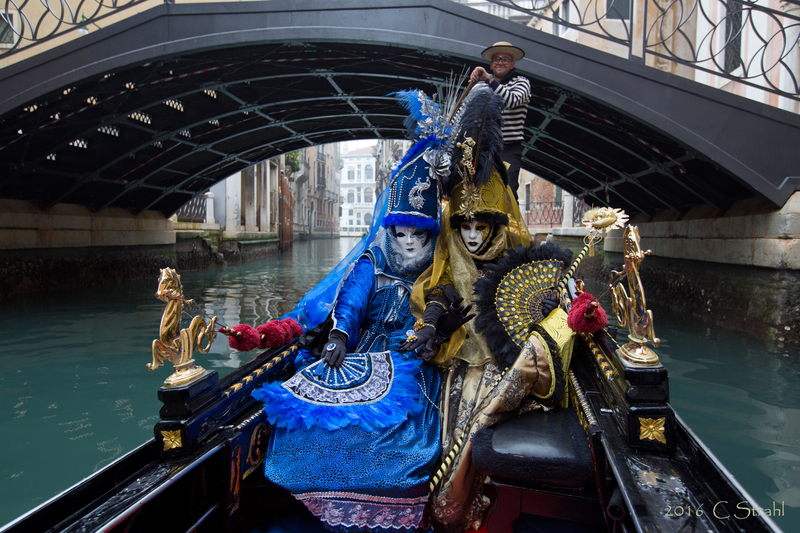 There is a wealth of culture, cuisine and entertainment to explore. So many people come here every year to visit or to stay. Not only is the United Nations headquarters here, but there are over 100 different ethnicities in the city’s population, that’s why they call the city “The Capital of the World”. Yo! 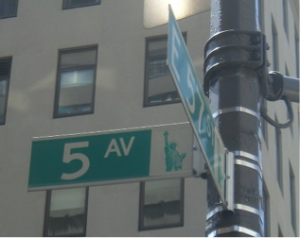 Welcome to lesson five in our series on the New York City dialect. I hope you’ve been practicing. By now you should be able to hold a light conversation in New York-ese, and order a bagel with a schmear. To review last month’s lesson, a number of words in the city dialect have an elongated A sound, sounding like “aw.” Our vocabulary words were tawk, thawt and dawg. Here are some more examples of them used in a sentence. Don’t sit next to that guy tawkin’ to himself. I thawt he was a tourist askin’ for directions, but he was a bum askin’ for change. You can make money in your spare time as a dawg walker. Other examples of the elongated A are walk, cough and taught. Here are some examples of these words used in a sentence. If you want to get around in the city, don’t pay any attention to wawk signals. Bus exhaust usually makes me cawf. My mother tawt me never to touch the handrails in the subway. Native New Yorkers often drop the H in words that start with that letter. The two most common instances of this are huge and human. Here are some examples of words using the dropped H words used in a sentence. Click on the links to hear the pronunciation. Dat demonstration on 57th Street is really goin’ to be ‘uge. It’s been good to see New Yorkers stand up for ‘uman rights. Keep practicing by listening to locals conversing. Hang out at your neighborhood pizza joint. The two traditional establishments in this neighborhood are Sutton Pizza, on First Avenue and 63rd Street, and Pizza Park, also on First Avenue, at 66th Street. Tune in next month for a test of your newly acquired language skills. 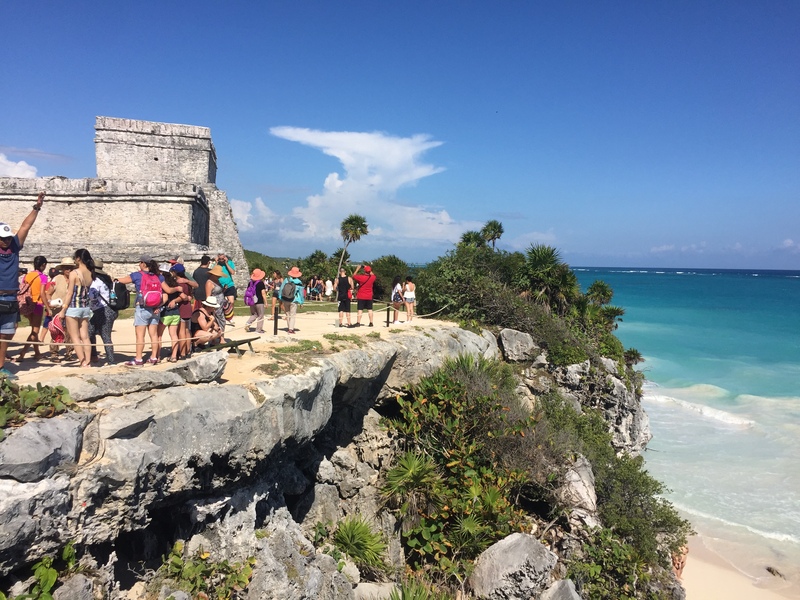 This was my first visit to Mexico, and my first visit to the Yucatán peninsula, which must be a magical land. Despite a plan for every detail on the trip, things started to fall apart the moment I landed. However, all the adventures became so worthwhile when I finally saw the ancient Mayan civilization. 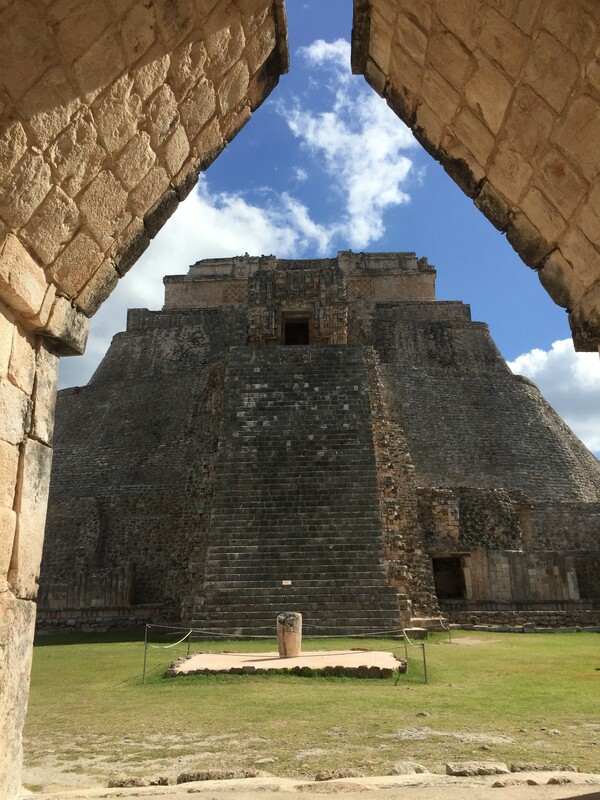 Here is a peek at the great Chichén Itzá, the breezy Tulum ruins, and the magnificent Governor’s Palace at Uxmal. As soon as you arrive in New York City, you immediately learn that there is not much time to get bored. We are surrounded by tons of things to do, places to explore, museums to visit, new restaurants to try, street fairs, street art, street performances, and the list goes on. This city offers such a unique variety of activities that somehow allows it to feed the needs of its huge population. For example, I have always been a live music addict, but while getting to know the potential of this city, at some point I became more selective with my choices. 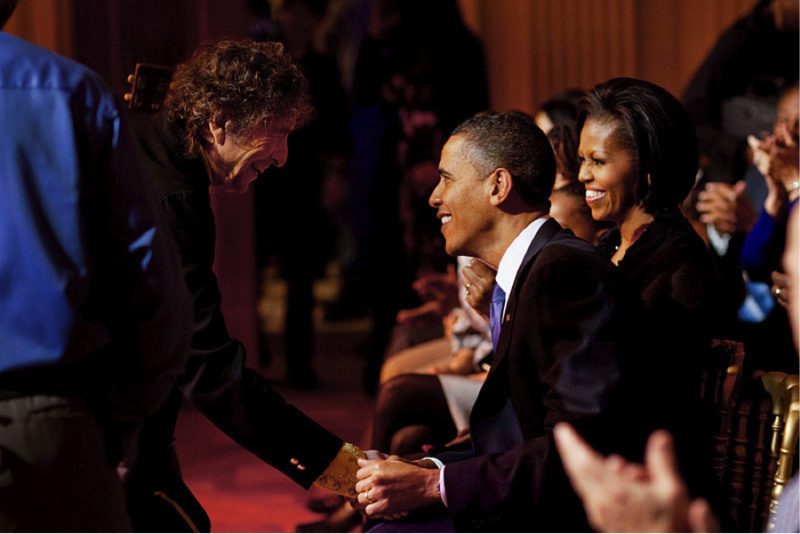 I began to be intrigued by concerts which took place in smaller venues, rather than giant locations. These spots became my favorite. First of all, they are friendlier, more welcoming, and they also have better and cheaper beers. Second, seeking out these locations gives you the chance to explore the city deeper, getting to better know its neighborhoods, and appreciate its many facets. 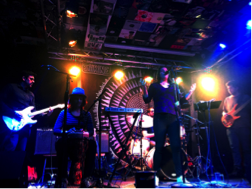 Third, in these small venues, the atmosphere gets creative and the connection between the audience and the new emerging musicians becomes special; not to mention that you’ll often be extremely surprised by the quality and level of the music. Obviously, there are many ways (web, apps, friends, magazines, etc.) 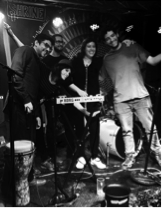 to find out when and where concerts are happening, but recently I found out that the best way is to be invited by a member of the band: Guadalupe Astorga, who is a neuroscientist at Rockefeller University, and also a web designer and contributor for Natural Selections. Excited and full of curiosity for the new musical adventure, a few friends and I decided to get ready to face a chilly winter night out and head to Harlem to experience the sounds of SugaGold live. But first, let’s shed some light on this band. SugaGold is an independent rock/funk band, formed at the beginning of 2016 by the interaction of five talented minds, not only with regards to music. In fact, three of them are neuroscientists at Rockefeller University and Albert Einstein College of Medicine, one is a language researcher, and another is a producer and musician. This collaboration started from a mutual passion for music and from the desire to create an original and innovative instrumental mix. The incredibly powerful voice of Natalia Sáez, who also contributes with the flute and indigenous instruments, harmonizes perfectly with the sound of the drums and electronic notes of Guadalupe Astorga, the drums and percussions played by Ben Deen, the lead guitar of Martin Luque, and the bass of Rodrigo Pavão. The result is an incredible new sound, born out of the creativity of each component, and by the mix of their personal influences and backgrounds. Apparently, “mishmash” is their key word. Did you know that even their band name comes from a mixture of their beloved pets’ names, Sugar and Goldie? The name was supposed to be temporary, but over the time, they liked it and never changed it. SugaGold started to perform around New York City quite fast, considering that the band was brand new. Not bad, guys! The concert was hosted at Shrine World Music Venue in Harlem. This is a multimedia arts and culture venue founded in 2007 by musicians and music fans. Because it is primarily a location for bands who would like to promote themselves, you can always find passionate musicians ready to face a challenge, while having fun with the audience. Since we didn’t arrive late, for once, we rewarded ourselves with a drink, sitting at the table just in front of the stage, looking at the band preparing for their show. Stage fright? Panic? Tension? What are those? SugaGold were definitely comfortable on stage, and an energetic flow of funky notes came out from the speakers, as if it were the most natural thing on earth. This formed a perfect match with Natalia’s voice, who was also alternating between the flute and the guitar throughout the whole concert. On stage, the performance was very dynamic, as different members of the band would change roles depending on the song; for example, the drummer would change roles to a percussionist, and vice versa. They have a good repertoire of pieces, both in English and Spanish, with a strong South American influence. They all virtually owned the stage, as the audience enjoyed the interesting rhythms and vibes coming from their Djembe, guitar, drums, flute, synthesizer, and bass. The quality of the acoustic was very good, despite a brief incident involving a temporarily crackling microphone. Things that happen only in a live performance! As song after song played, their time on stage began to run out, but they managed to steal a few more minutes to play one last song. Oh yes, the crowd didn’t give them a break! When I mentioned my passion for music I truly meant this: an amazing atmosphere created by enthusiastic people gathered together to enjoy music and have a blast! The overall impression of the concert was great, from the choice of the venue to the participation of the audience. I loved the pure energy that the live music released. Their concert was a success and SugaGold have, for sure, a bunch of new fans. I can’t wait to see them again on March 17th, at Silvana in New York. A smokestack towers above Mono Lake. All Photos by OWEN CLARK/NATURAL SELECTIONS. Armed with a DSLR camera, travel guitar, two Haight and Ashbury-acquired shawl-cardigans, and three of my oldest friends, I left the perpetual fog of the San Francisco Bay. Having played out the scene a thousand times in my head, I had romanticized the drive down California’s scenic Pacific Coast Highway to levels approaching cliché. But despite trading the flashy convertibles of Entourage’s Vincent Chase or Californication’s Hank Moody for a grey Hyundai Sonata rental car, it still failed to disappoint. Practically every bend on that winding road greeted me with a stunning scene of pure, rugged beauty. California’s jagged cliffs are lined with earthy hues of bright red and orange, while each inlet of the vast Pacific Ocean contains a perfectly balanced array of turquoise and green pastels that one might have found on Winslow Homer’s palette. 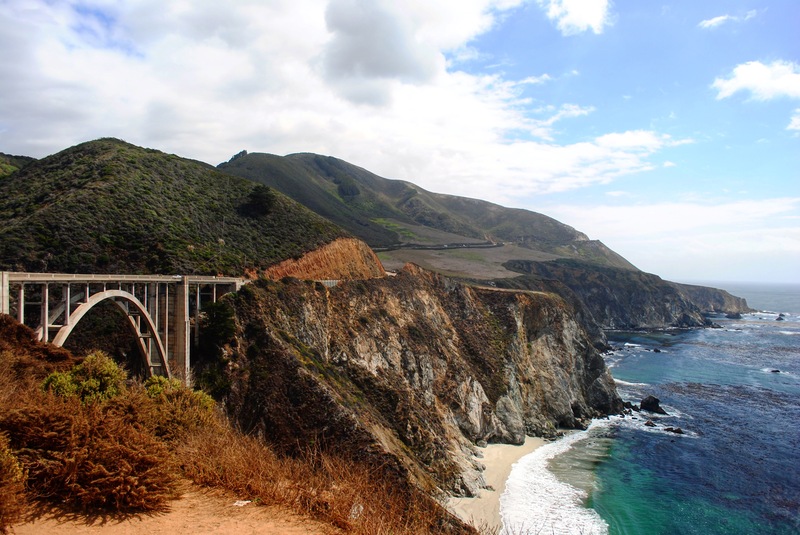 The famous Bixby Bridge at Big Sur. All Photos by OWEN CLARK/NATURAL SELECTIONS. 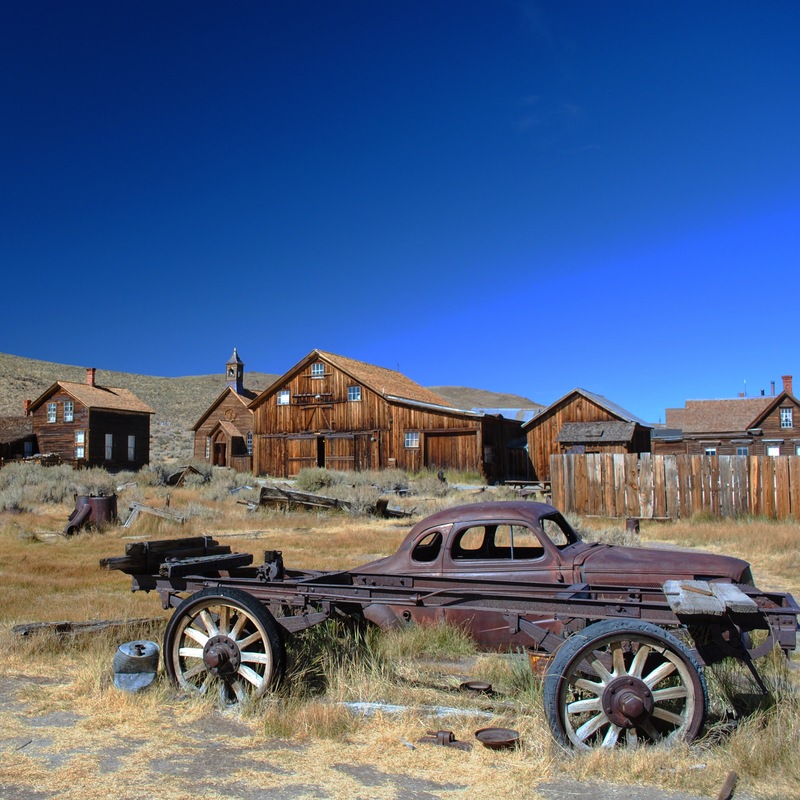 High Sierra ghost town Bodie. Despite navigating hairpin turns surrounded by 300-foot drops under cover of total darkness, we made it safely to Big Sur. 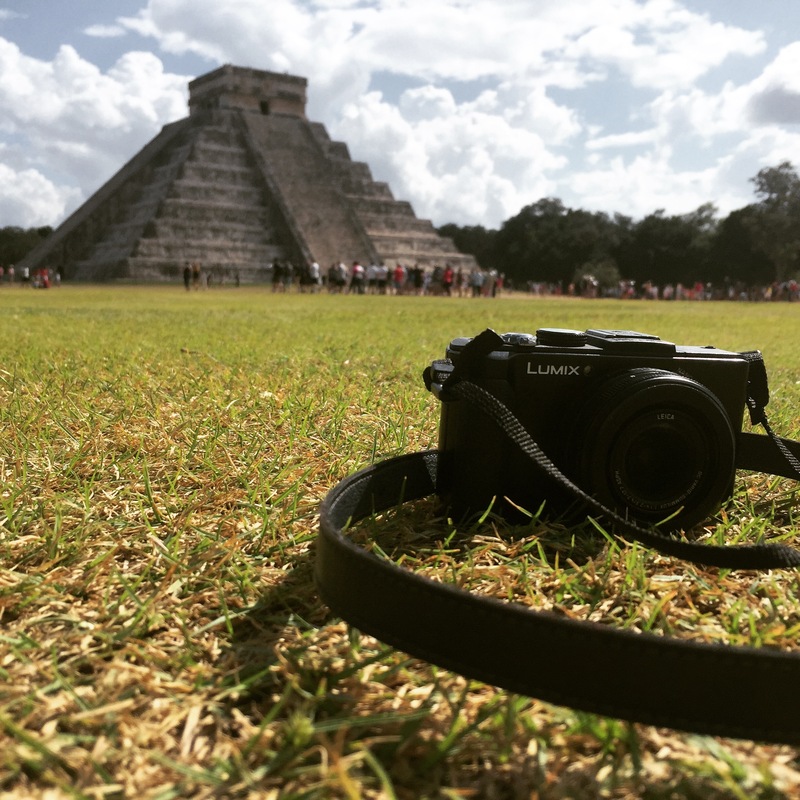 My friends liked to joke that being the obsessive ball of neuroses that I am, I had already lived out the entire trip through the lens of professional photographers on Instagram prior to leaving, and was only in for disappointment at the real sights. The reality was the opposite—I couldn’t shut up about how gorgeous it all was. Warming my hands with a dawn-break coffee on the porch of our log cabin surrounded by towering redwoods; driving up-and-down the coastline in search of that perfect photo; soaking up the previously elusive sun on the picturesque Pfeiffer Beach; capping off the day with fireside beers: everything just seemed to fall perfectly into place. Fitting on a day when one of my travel companions and I woke up to the bizarrely coincidental news that we had both become uncles overnight. Though I had fallen in love with the California coast, we had to move on to the next stop on our long list. After stocking up on instant noodles and mac-and-cheese ahead of our first foray into camping, we headed out across the eerie plains of middle California’s desert to the iconic Yosemite National Park. Having spent several hours driving down deserted roads, where the only sites of interest were dust devils and “Another Farmer for Trump” billboards, the granite rock formations of the Yosemite Valley were a welcome treat. As with many experiences, a departure from the beaten path yields the most satisfaction. 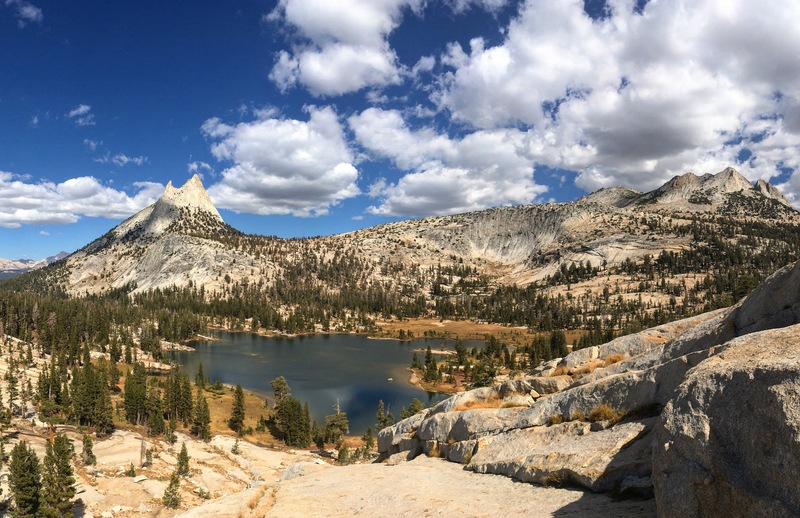 I had that feeling in mind when I raced up 200 feet of granite rock face to capture the stunning panorama of Upper Cathedral Lake and the peaks beyond, away from the day tourist Valley crowds, in the Tuolumne Meadows area of the park. After returning to my friends relaxing by the lake, we were instantly rewarded by the photo gods, with the arrival of an actual cowboy, actually leading his horses to water. 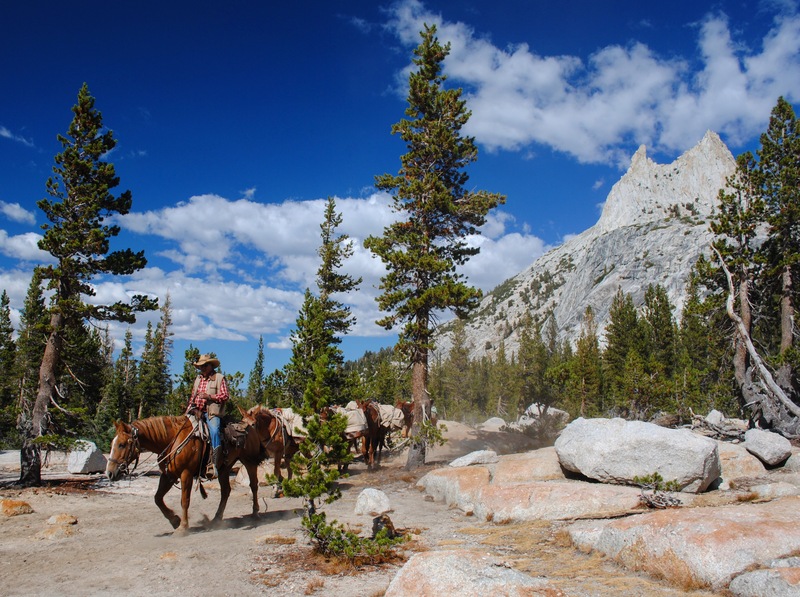 A cowboy rides the dusty trail, Yosemite National Park. Keeping with the Western theme, we left Yosemite the next morning in search of gold. Well aware that the California gold rush had ended a good century ago, we thought we would give it a try anyway. After a quick stop at the saline Mono Lake Tufta (as pretty as it was smelly), we navigated the three miles of bumpy dirt track leading to the historic High Sierra ghost town of Bodie. Blazing heat, dried-out long grass, corrugated iron shacks, a chapel, a school, a saloon; it was something straight out of a video game. Though saintly patience was required for the authentic ghost town shot (i.e., minus groups of dawdling tourists) it was quite the experience. Once again our departure yielded an instant photographic gift. There aren’t many days where you experience awe-inspiring natural phenomena while blasting Chris Brown’s “Forever” from your car stereo, but this was one of them. As a blues guitarist, I was familiar with Howlin’ Wolf’s classic “Smokestack Lightnin,” but like many I had absolutely no idea what it meant. 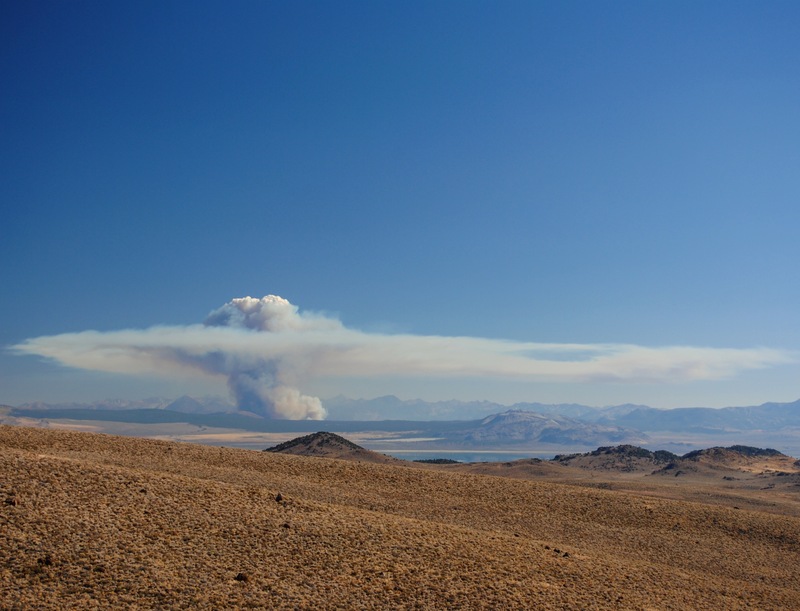 We had been monitoring a strange cloud throughout the day that was now towering above the distant Mono Lake and Yosemite, resembling the mushroom clouds of the early atomic bomb tests. As I proceeded to photograph/Snapchat away, a professional nature enthusiast informed me that a distant forest fire had generated enough smoke to form an entire cumulus cloud (smokestack) that then created enough thermal pressure to produce lightning! Touché nature, touché. After a thrilling journey spent playing a profession guessing game through the twisty, scenic High Sierra roads and the strange casino-and-gun-shop lined small towns of Nevada, we arrived at our next major destination: Lake Tahoe. The relatively palatial luxuries of South Lake Tahoe were a welcome retreat from the cruel realities of nature that we had just experienced (camping), and we took advantage of the flowing booze and ubiquitous live music to try something that we hadn’t really done all trip—relaxing. 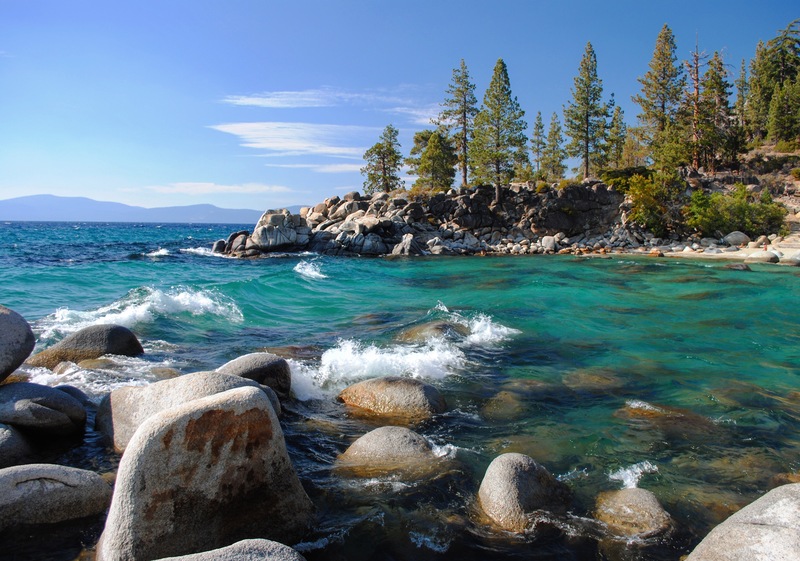 Stock images of Lake Tahoe always show someone diving into its crystal blue waters and this was a real bucket list item for me. I managed to get a near perfect dive on video despite a throbbing gin and tonic-induced headache. Definitely worth it for those two likes on Facebook. 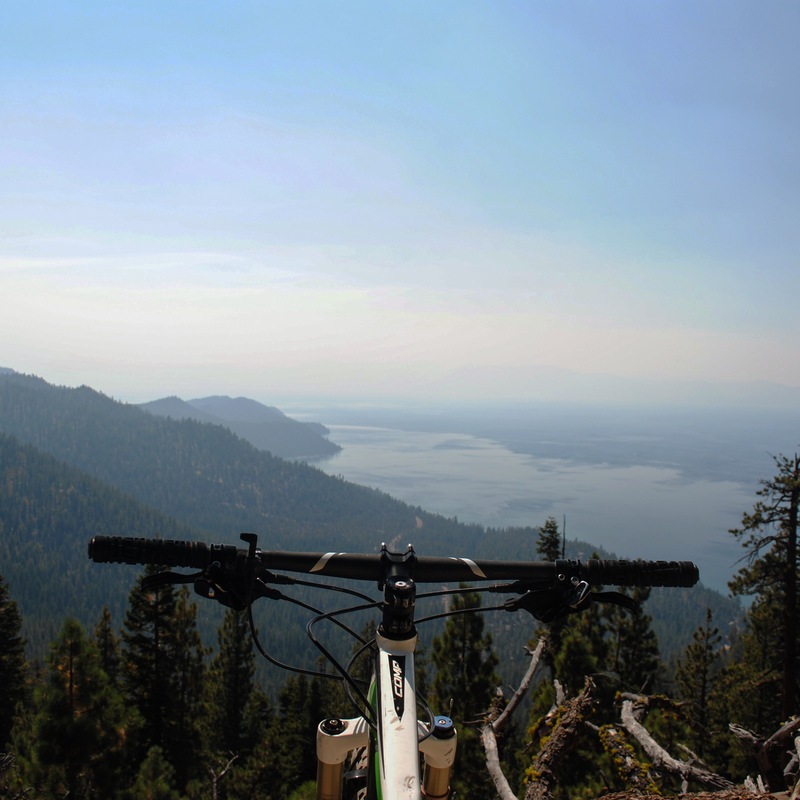 Mountain biking the Flume Trail, Lake Tahoe. That night I stayed off the booze in anticipation of what would be one of the biggest highlights of the trip: mountain biking the world famous Flume Trail. I had seen YouTube videos of this classic, but like many things on the trip nothing could truly prepare me for the extreme multisensory experience of engaging in an adrenaline-pumping ride coupled with stunning 360 degree views 8,000 feet above the banks of a 200-square mile lake. Sad to leave, we departed Lake Tahoe the next morning, down a winding mountain pass that led to the golden hills of Napa Valley. Navigating hectic Highway 1 back to San Francisco was a stark reminder that we were back to civilization. With my friends headed back to my homeland of England, I sat alone at the airport gate, waiting for my delayed flight, looking back over my many images of stunning landscapes and wild animals, and dreaming of my next adventure in this vast land. Upper Cathedral Lake, Yosemite National Park. Mahershala Ali in Moonlight (2016). Photo Courtesy of A24. As laid out in last year’s column, the Best Supporting Actor and Actress races of the Academy Awards are extremely unpredictable. Just take a look at the outcomes below in comparison to what was discussed to see for yourself. It is for this reason that I have chosen to keep the format adopted last year for this edition instead of laying out each actor’s accomplishments and why I would, or would not, bet on them for a nomination. I have broken down the different circumstances these actors find themselves in and how that narrative may or may not ultimately influence Oscar voters. 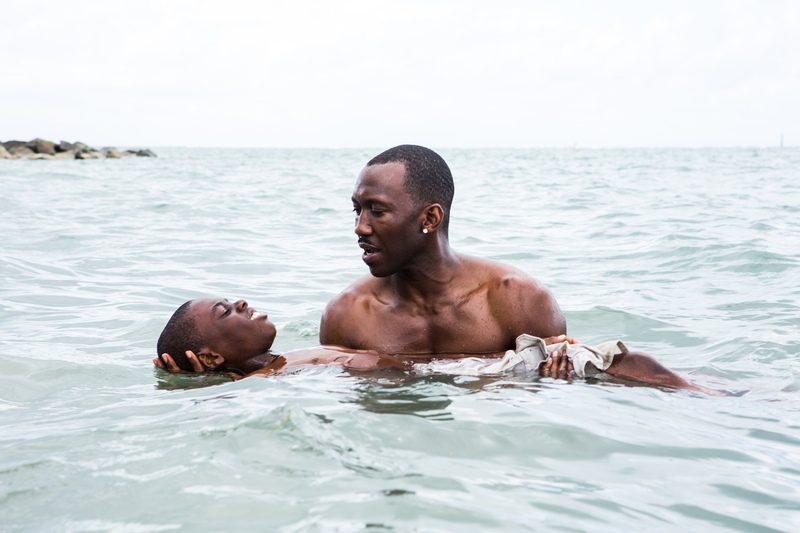 Various critics groups, including The New York Film Critics Circle (NYFCC), the National Board of Review (NBR), and the Los Angeles Film Critics Association (LAFCA) have announced their respective winners and The Broadcast Film Critics Association (BFCA) has announced its nominees. These events help to form a consensus of Oscar nominees and make the acting categories all the more clearer as we approach nominations on January 24th. Together with nomination announcements from the Screen Actors Guild (SAG) and the Hollywood Foreign Press Association (Golden Globes), these announcements signal the start of the Oscar race’s second leg. Mark Ruffalo and Michael Keaton — Spotlight: Both were nominated, but the latter in lead (due to category fraud). Robert De Niro and Bradley Cooper — Joy: Neither were nominated because the film tanked with critics. Mark Rylance — Bridge of Spies: Nominated and won. Idris Elba — Beasts of No Nation: Not nominated. Making their debut in the Oscar race, Hollywood proved just how scared it was of streaming services, such as Netflix, by snubbing the film entirely. Last year’s fourth nominee was Sylvester Stallone for Creed, a film that saw its release after completion of this column. For many, Stallone became the frontrunner, and while the Hollywood Foreign Press, the BFCA, and the NBR dressed him up with their awards, Hollywood turned its back on him on Oscar night. This leaves our last nominee, Christian Bale for The Big Short. Like Creed, the film wasn’t released until after the completion of this column. However, of the film’s sprawling ensemble, awards groups rallied around Bale and he completed the all white acting category. The results show that by the same time last year, it was pretty easy to determine more than half of the actors in supporting roles that would go on to be nominated by the Academy. This is my favorite time of year. There are so many great aspects to the Christmas season: good food, good music, and the special traditions that come along with the “reason for the season.” Come experience and discover how Italians celebrate the holidays. The Christmas atmosphere is really felt in the Bel Paese (beautiful country) since the holiday is one of the most important ones in my country. Although there are commons traits, the magic of Natale (Christmas) is different all over the world. Christmas, for every Italian, is like Thanksgiving in the United States. It is a big family reunion that no longer reflects the symbolic religious tradition of the nativity, although many services still run on Vigilia di Natale (Christmas Eve). There is a famous phrase: “Natale con i tuoi, Capodanno con chi vuoi” (Christmas with yours [relatives], New Year’s Eve with whoever you want). Italians really feel the spirit from late November, but the Christmas season officially starts on December 8, the Day of Immaculate Conception. We decorate our homes and trees, bake cookies, wrap presents, and schools and offices are formally closed. From this day on, up to December 26, the holiday spirit grows. On many Italian streets decorations and huge Christmas trees are displayed, presepi (Nativity scenes) are placed outside for all to see, and the smell of chestnuts, wine, and Italian delicacies, is apparent on every corner. People hurry across the streets with lots of packages in their hands, zampognari (double chanter bagpipers) play Christmas melodies all around, and Babbo Natale (Santa Claus) gives candies to the children. 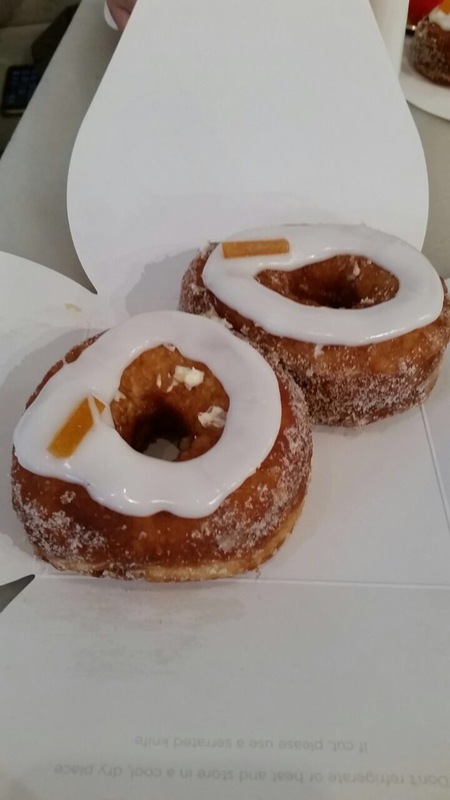 Natale and Vigilia di Natale are observed in different ways all over the country, depending on where you are. Some Italians start celebrating with a nice dinner on December 24. My family and I prefer a light meal without meat and wait for a huge Christmas lunch the day after. However, the midnight Mass at the local church is a tradition from the North to the South. Afterwardwe brindiamo (make a toast) with a glass of spumante (Italian sparkling wine), a slice of panettone or pandoro (sweet treats), and open presents. 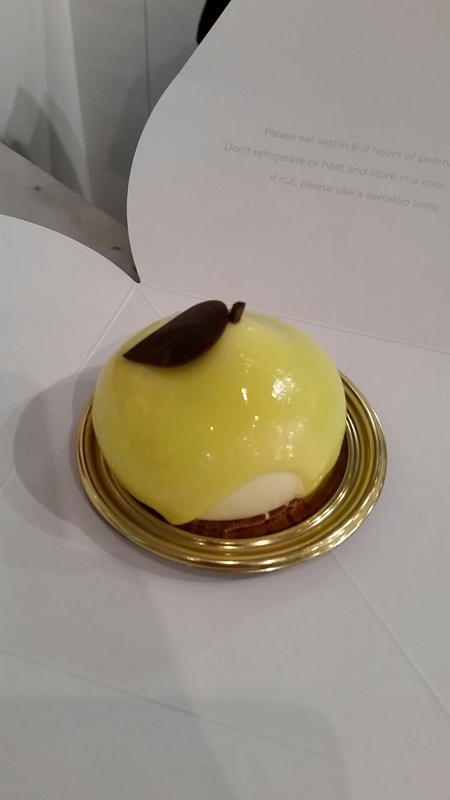 When I was a child I was so excited by Santa’s arrival that I used to prepare a glass of milk, and place a slice of Christmas cake under the tree to thank Babbo Natale for the gifts. 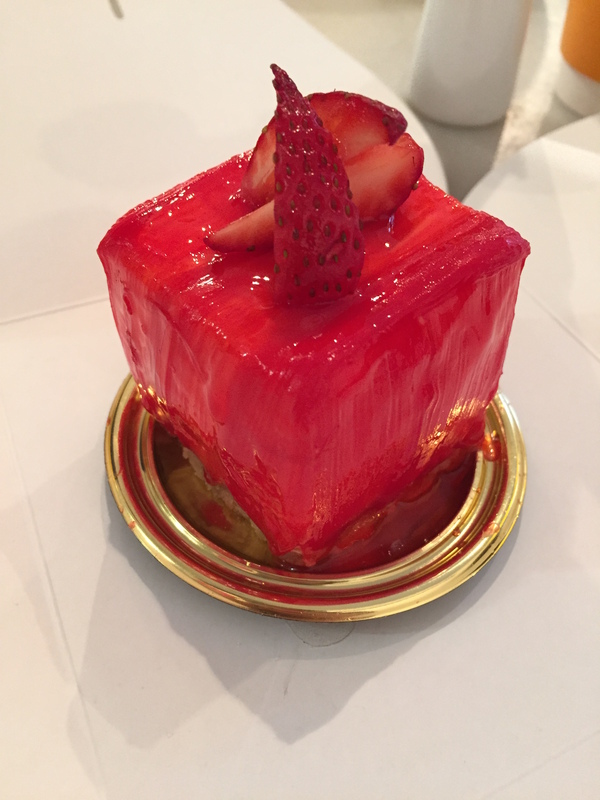 The joy of this time reaches a fever pitch on December 25, which is a day for eating! This is the perfect occasion to meet up with your family, sit around the table almost all day long and enjoy good food. This happy and peaceful atmosphere lasts late into the evening, while households play board games, taste Italian delicacies and unwrap presents! On Christmas Day, the table abounds with different entrees: insalata di mare (seafood salad), types of salami, cured meats, and flat breads. 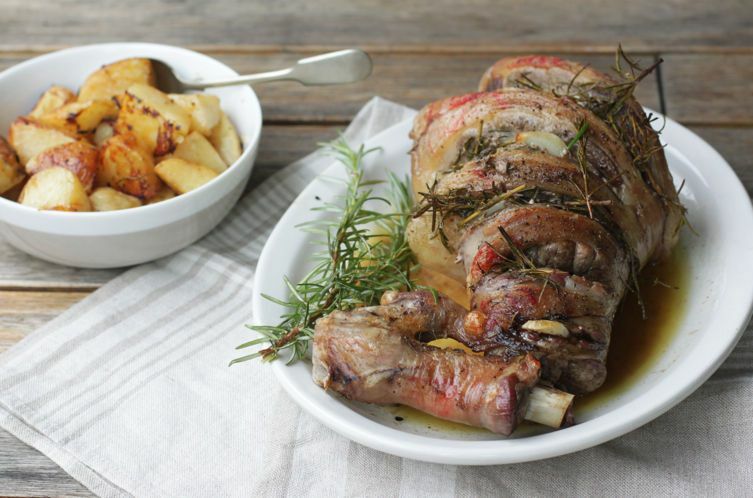 The main course, depending on the region, consists of the famous tortellini in broth, lasagna or pasticcio (the amazing baked pasta prepared following grandma’s style), and lamb. Normally, after the main meal, a tasty variety of meat is served. 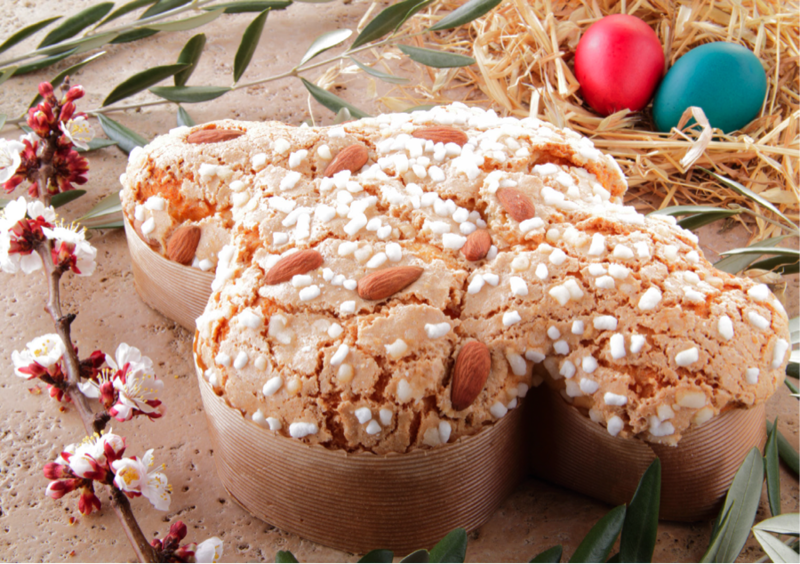 Whatever the menu, Italians cannot end their lunch without some famous Christmas treats: pandoro and panettone. The former is a traditional Veronese sweet yeast bread, whereas the latter is a tall sweet bread enriched with raisins and dried fruits, hailing from Lombardy. One of my favorite things is to add more sugar to my sweet meal, with torrone (classic Italian nougat), hazelnut chocolate, and homemade cookies. December 26, Santo Stefano Day, is a national holiday in Italy, and obviously another occasion to gather with your loved ones and taste other homemade specialties, and sometimes the Natale’s leftovers. Celebrations are not over yet! After these three days of merrymaking, the next date is December 31. This is another crazy opportunity to meet with friends and families and have a big party all night long. Capodanno (New Year’s Eve) normally starts late in the afternoon with the famous aperitivo, followed by a traditional big meal called cenone (big dinner), and the right party to welcome the new year! The day after, if you still have the energy and your stomach is up for more food, it’s time for another substantial lunch! If each Christmas meal differs from one family to another, each New Year’s Eve dinner is carefully thought out to serve the right food that promises to bring you luck, such as cotechino (pork sausage) lenticchie (lentils), and uva (grapes). January 1 is a day to relax, be with the people you care about most, and have some traditional food and dessert.